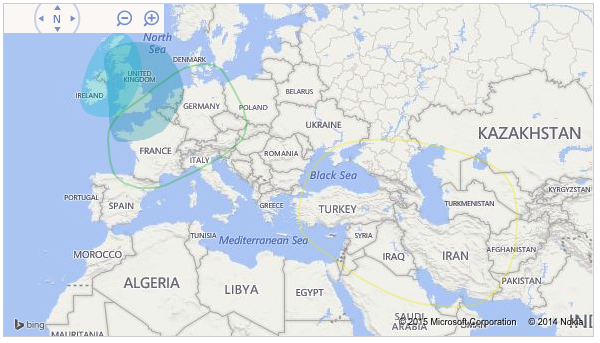 A few weeks ago I sent in a DNA sample to Ancestry.com’s DNA testing service. 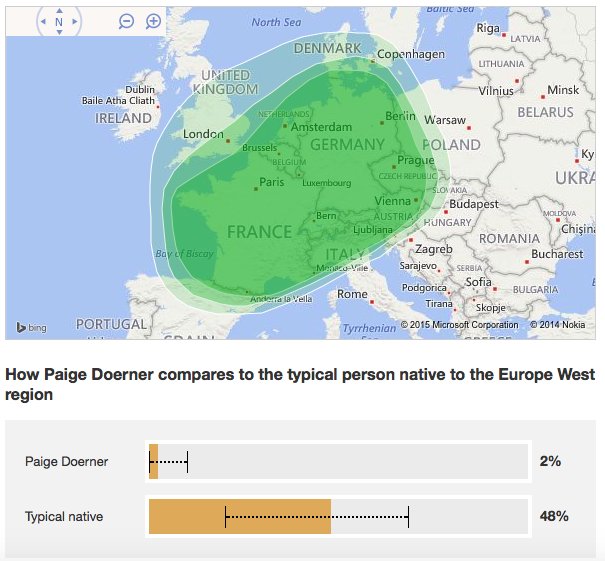 I wasn’t expecting any particularly crazy results, I was mostly just interested in seeing how accurate my understanding of my own genealogy proved to be. This morning I received the finished results, and, not surprisingly, it wasn’t all that far off from what I knew about my family history. From some basic genealogical research that I had done in the past, as well as talking with relatives about their knowledge of our family history, I was fairly confident that I could trace my maternal family to Ireland and England (and possibly France), and my paternal family to Germany and Ireland. 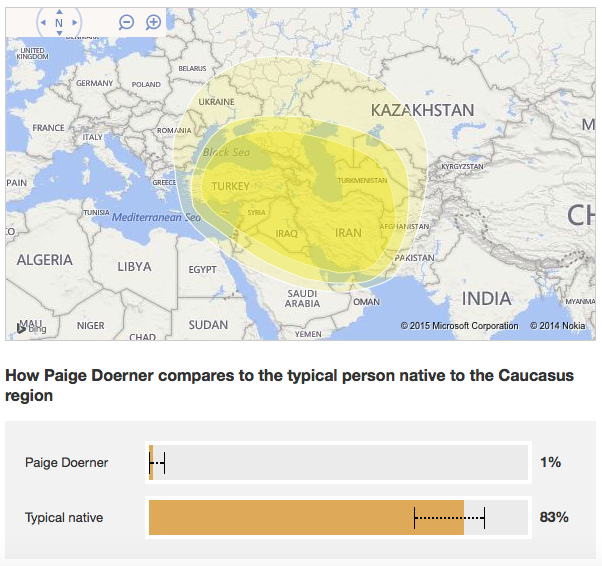 My Ancestry DNA results sort of confirmed this understanding, check out the results below. (And of course, remember that this sort of DNA analysis must be taken with a grain of salt). 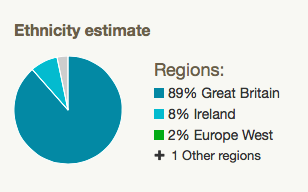 The next strongest match was Ireland, which of course didn’t come as a surprise, the majority of my ancestors on both my maternal and paternal sides identify as Irish. The next largest category was Western European (Belgium, France, Germany, Netherlands, Switzerland, Luxembourg, Liechtenstein). I can definitely cite several relatives on my paternal side from Germany, and at least one from France on my maternal side. Not surprising that this was a much smaller percentage. Last, and perhaps most intriguing, was West Asian (Armenia, Azerbaijan, Georgia, Iran, Iraq, Syria, Turkey). This part does come as somewhat of a surprise! It’s difficult to make any sort of inferences with this type of data – it’s super vague, and for the most part reaffirms what I was already aware of from my own genealogical research. 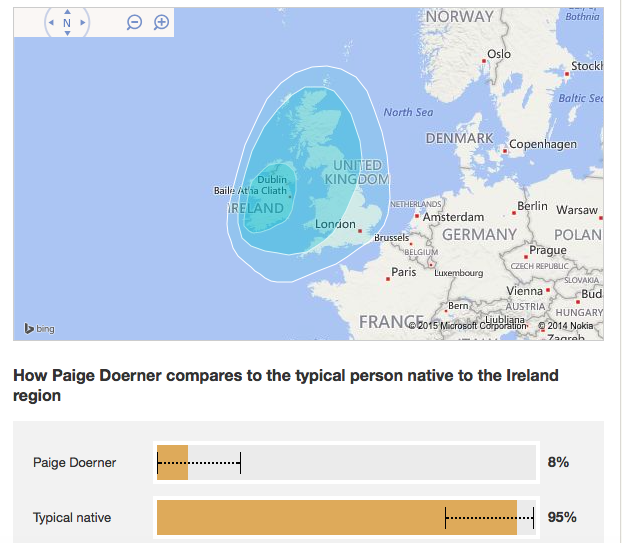 It does make me want to delve into my Irish ancestry a bit more, and see if I can trace when any sort of migrations happened from Britain (my earliest Irish ancestor that I can account for having been born in Ireland dates back to the 1790s). 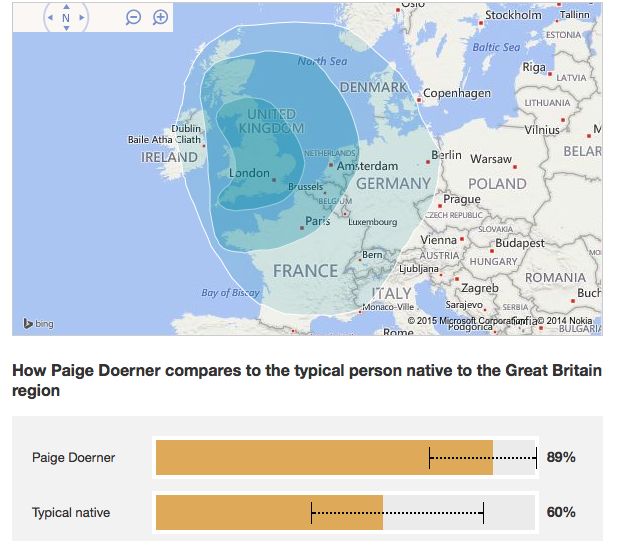 So in that way, these results open up the possibility for some interesting continued genealogical research. But in any case, it was quick and easy to prepare, and receiving the results was a lot of fun! What do readers have to say? 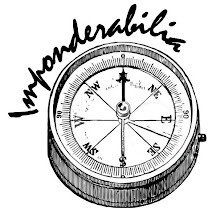 Imponderabilia is a blog that Paige has curated since early 2013. Topics of posts range from American history, to material culture, to museum marketing and online engagement.